I don’t get a lot of packages in the mail. Heck, when a package arrives, it’s usually addressed to Mrs. G. So imagine my surprise today when I came home to find a small package awaiting me. It’s like an early birthday. But who could it be from? And what did it contain? It totally slipped my mind that over a month ago, Chris over at Dizzy Pig sent me an e-mail saying that they were putting together a small group of cooks and Dizzy Pig fans that they were developing. I mean, common’…it was over a month ago. And I do have ADHD and horrible short-term memory. Just ask Mrs. G or my Mom if you don’t believe. But even though I forgot, I was (and still am excited) about these new rubs and that they would include me. I’m really excited about the Fajitaish (well both of ’em really) I was secretly hoping that they were going to have some kind of Mexican spice rub. And the smell when you open the bag….cumin and garlic and onion and pepper assaults your nose (in a good way)!! My mouth started to water as I breathed it in. I can already tell this is gonna be some good stuff. The Bombay Curryish also had an amazing aroma. I’m not real familiar with Indian food, and I can’t quite put my finger on the smells, but it sure does smell good. These blends are made from the freshest of spices and are sugar-free as well. Unfortunately, we already have dinner plans for tonight, but you can expect to see these being tried out this week. 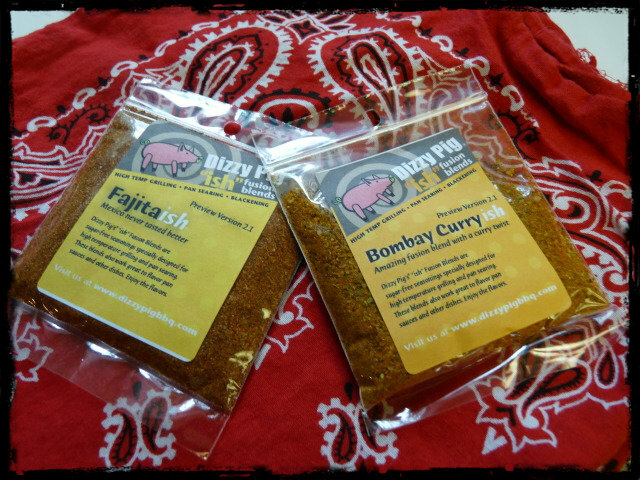 And if they live up all the other Dizzy Pig spices, they are going to be outstanding, I am sure. 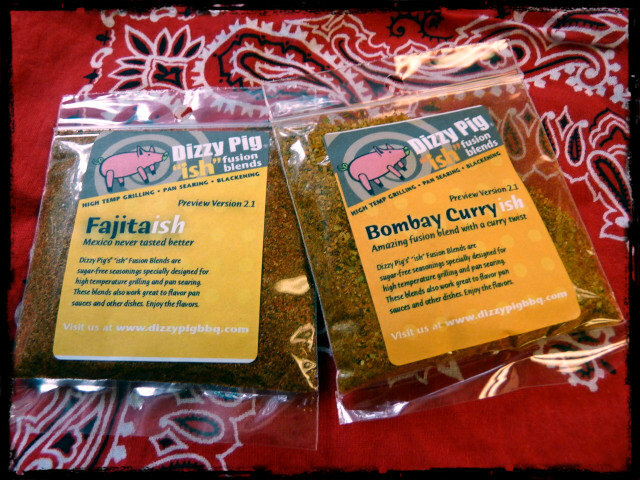 These spices are not yet available to the public, but the included note from Dizzy Pig says that they will be this summer, so keep your eyes peeled. Those rubs will still be good tomorrow. Keep us updated. I love anything that ends in ish. I’m looking forward to seeing these rubs get put to good use. As I’m looking forward to trying them…. Not real sure what to do with the curry one. Indian food is something I have no experience with, so I guess its time to do some more research. Looking forward to being able to get my hands on some of those too. Might want to try the curry one on some chicken, or I bet it would be good on some shrimp too. Good flavors there. If you’re not sure about what to do with the curry one, you can send it to me and I’ll let you know how it goes lol. Didn’t think it would work, but it was worth a try lol. Interested in seeing what you come up with though. Can’t wait to see how you use these two bad boys. My current DP favorites are Jamaican Firewalk and Tsunami Spin with Raging River a favorite for seafood. just sopped by the dizzy pig on Saturday and there were samples of chicken wings with the Bombayish rub….Delicious. Yeah, I heard they finally released it last week or the week before. Hey y’all! 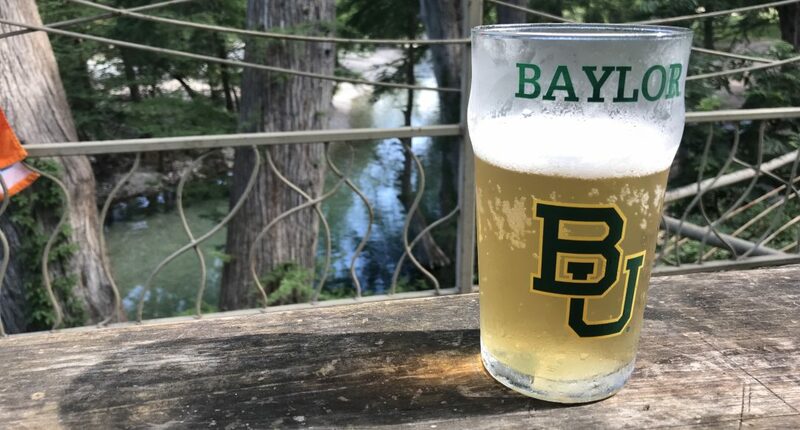 Just surfing around sitting outside on the porch, and saw y’all were talikn’ about us. Just wanted to say thanks!! I think I am more excited about Bombay Curryish than I have been about any of our other concoctions. Thanks so much for your kind words! And yes, you all are on target about the yogurt sauce. A good tangy plain yogurt can be doctored so many ways, and is almost always a compliment to Indian food. Thank you, Chris for putting out such a high quality product. Love all the ones we’ve tried so far.